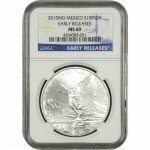 Mexico’s official silver bullion coin is the Silver Mexican Libertad. 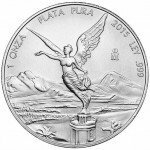 Struck on an annual basis since 1982, the Libertad is one of the fastest growing sovereign coin programs in terms of popularity. That growth is fueled by the coins high level of purity and its stunning design features. 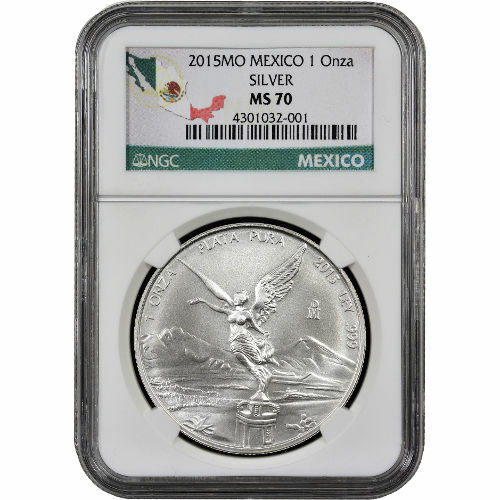 Right now, the 2015 1 oz Silver Mexican Libertad Coin is available through Silver.com. Just 591 of these coins have currently been graded in perfect condition! 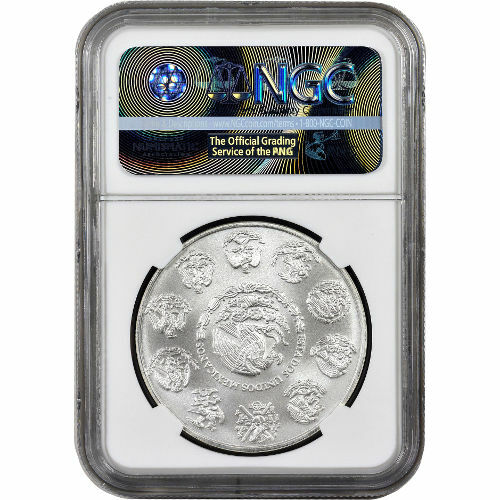 Graded a perfect MS70 by the Numismatic Guaranty Corporation. The Silver Mexican Libertad coins bears iconic imagery from Mexico’s past, particularly its struggle for independence from Spain. On the obverse side of each coin is the image of Winged Victory. She is the angel of victory in Mexico, and a statue of her likeness was erected in Mexico City during the 1920s as the nation celebrated the centennial of its War of Independence. Also included on the obverse are two volcanic peaks, named after ancient Aztec lovers. It is said that when Popocatepetl discovered that his lover Iztaccihuatl had taken her life, believing that he was dead, he carried her body into the mountains and laid her to rest. He then laid down to die on the mountain top next to her, keeping a vigilant eye on her forever. The volcanic peaks are named in their honor. The reverse side of each coin bears the image of the national coat of arms. Mexico’s coat of arms displays a bald eagle resting atop a cactus as it battles a serpent. Around this image on the reverse are 10 different versions of the coat of arms used by Mexico since it earned independence from Spain. Each of the coins available in this product listing is in perfect MS70 condition. A coin in this grade has no blemishes, contact marks, detracting flaws, or hairlines, and still has its full, original luster. The Mexican Mint was founded by Spanish conquistadors in 1535, making it the oldest operating mint facility in the Western Hemisphere. If you have questions about the coins in this listing, don’t hesitate to contact Silver.com. We have associates available at 888-989-7223, online through our live web chat, and via email.